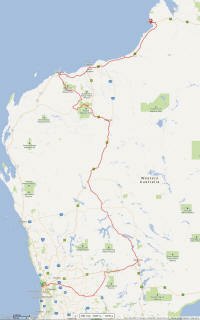 Perth to Broome - the long way!! A table showing the start point for each day and the daily and total distances we rode. 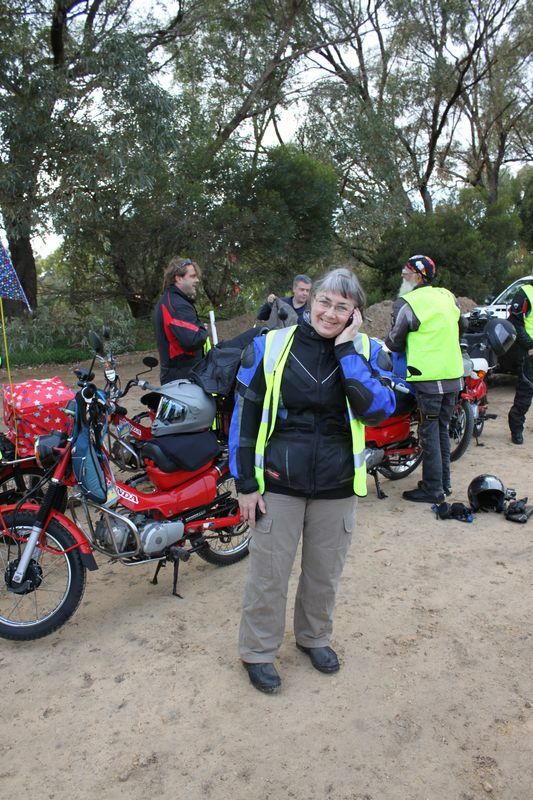 My name is Kathy Leslie and I live in Canberra, ACT, Australia. I've been a keen motorcyclist for more than 30 years and I currently own a Honda CX500, a Honda NT700V Deauville and a BMW F650GS. Having completed the 2009 Postie Bike Challenge I've decided to have another go! The direct route from Perth to Broome is about 2,200kms. There is no point in taking the easy way when you can take the adventurous - 3,200km (including up to 1,000km of unsealed roads) - way at a top speed of 70 kph! 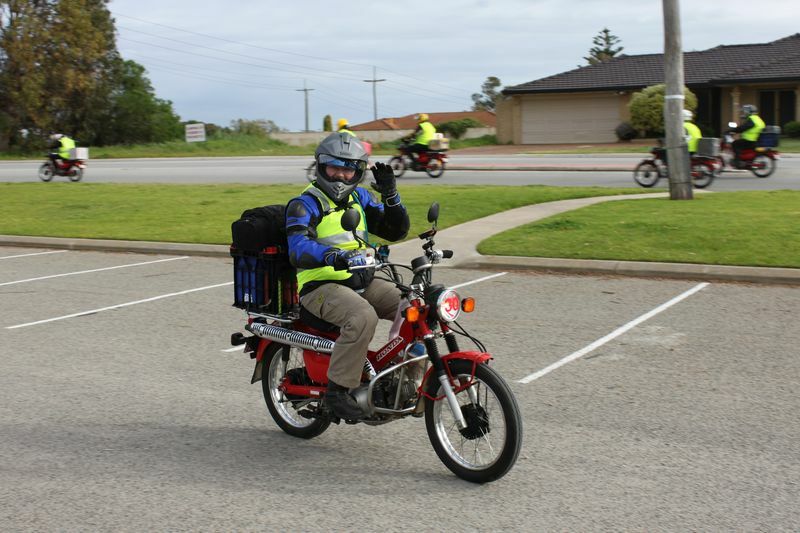 The organisers have decided that, having done previous routes through Queensland, New South Wales, Victoria, South Australia and the Northern Territory, it is time the Postie Bike Challenge visited Western Australia. The route from Perth to Broome will take us through regions more remote than can be found in any other state of Australia. It will take us through incredible country, including Eighty Mile Beach, Millstream National Park, Karajini National Park and Opthalmia Range around the Pilbara region. 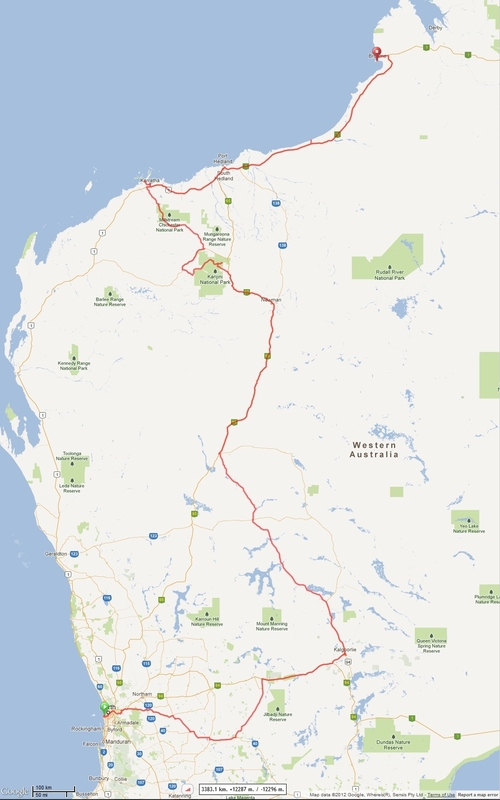 We'll avoid the tourist route along the western coastline, and instead take the more interesting route east from Perth through Kalgoorlie prior to winding our way north to Broome. The beauty of the changing landscapes and vastness of the countryside are matched by the harshness of the dirt, corrugations and bulldust we will encounter. No-one can argue ... this will be adventurous! during the month of September along the way.